Now, for a mere €650,000 (~$880,000US), you can buy citizenship in Malta. It's a beautiful Mediterranean island now known to many as one of the settings of HBO's epic Game of Thrones series. Originally it was going to be a private sale, with people buying citizenship having their names withheld. After outcry from the opposition party, the government agreed to publish the names of those who buy Maltese citizenship. 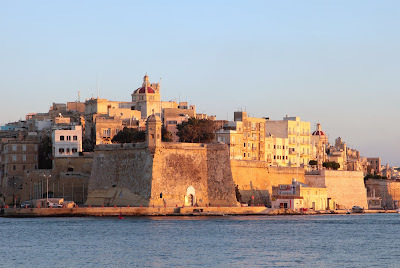 I've written about Malta before because my wife and I investigated moving there. The climate is lovely, most people speak English, and prices are low. That being said, is buying citizenship a realistic option? I don't think so. The Nationalist Party has promised, when they return to power, to revoke the the citizenship of anyone buying their way in. The Maltese Labour Party argues that selling citizenship is an excellent way of raising money for the country and attracting "high value" immigrants. While initial estimates suggest that the first year of this program would raise €30 million for the island, it's not clear that this will necessarily work. There is no requirement to be a resident or even invest in the island. There's also the question of what citizenship really means. Is the right of citizenship something one should be able to buy, or does culture matter? I plan to apply for French citizenship as soon as I'm eligible. I live in France, my wife is French, our daughter is French-American, I speak French, and US and French cultural values are (on paper) largely similar. But does having that passport make me French? It's also worth noting that the Maltese government is targeting wealthy Russian and Chinese citizens. On one hand, this makes sense because these citizens often find themselves in the crosshairs of their government's ire. However, and not to put to fine a point on it, many other European countries may not be happy with this. You see, Malta is part of the Schengen area, giving its citizens the right to live and work in 28 different countries. The spectre of the "Russian Oligarch" or Chinese criminals is one that is popular in the news and it's impossible to ignore the potentially racist overtones of some objections, though the Maltese government promises to carefully screen all candidates. As for myself, I continue to hold that people should be free to move to countries that they feel might be a better fit for their personal values. However, I realize that this is not going to happen and there are very practical reasons why it can't. I also confess that offering citizenship for the rich is disturbing. Fortunately, if you really want to move to Malta, you can put aside those concerns and take advantage of several less costly routes. Then if you want Maltese citizenship, you merely need to wait five years to apply for naturalization. That should give you plenty of time to integrate into the culture. How do you feel about citizenship? Should it be for sale?